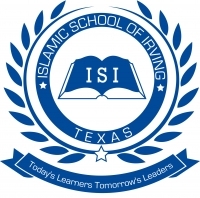 Founded in 1996 and Accredited through AdvancED, the Islamic School of Irving is a K-12 preparatory school that serves a diverse, multi-cultural community in the Dallas/Fort Worth Metroplex. The Islamic School of Irving provides a unique, individualized, accelerated educational program that is shaped by Islamic values and which prepares students for higher learning, leadership, service, and community builders. Presents the subject matter according to guidelines established by Texas Education Agency, board policies, and administrative regulations. Plans and supervise purposeful assignments for teacher aide(s) and/or volunteer(s). Attend and participate in staff meetings, committee meetings, and work sessions as required by the principal. Exhibit professional judgment and responsibility at all times. Promote professional improvement through reading educational journals and books, exploring educational research, enrolling in college courses, participating in staff development activities, and membership in professional organizations. Follow all rules, regulations, and policies approved by the Board of Directors and follow directives from superiors. Follow attendance policy as assigned by supervisor. Perform other functions that may be assigned by the Administration and/or supervisor. Participates cooperatively with the appropriate administrator to develop the method by which the teacher will be evaluated in conformance with guidelines. Participates in curriculum development programs as required. Uphold and enforce school rules, administrative regulations, board policies, and present subject matter according to established guidelines. Supervises students in out-of-classroom activities during the school day. Administers group standardized tests in accordance with state testing program. Ability to communicate effectively (verbal and written); ability to instruct; interpret policy and maintain emotional control under stress. The Administration and/or supervisor has the right to add or change duties at any time.